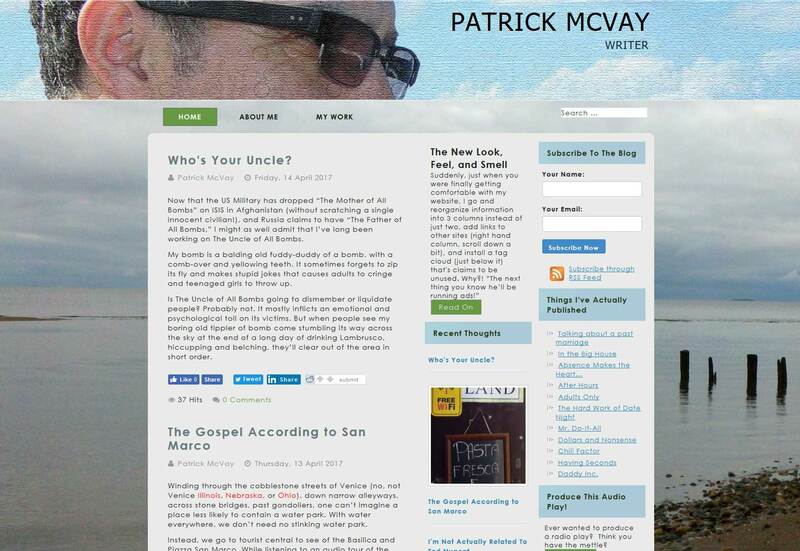 A friend of a friend, Patrick wanted a website for his Blog, but he wanted something that was unique and set apart from the normal free WordPress blog. After a few calls and some sample sites, this site was made. It combined some of his art and balanced his blog with samples of his work. This all went down in September 20012 and since then he has posted over 200 blogs. The site wen t live on 9/28/12 built on Joomla and using the latest blog package. This lets someone post a blog with no more experience than needed to send an e-mail. Readers also get the option to subscribe to the blog, this is a great way of building up followers who do not want o use Social media but prefer a more personal e-mail.